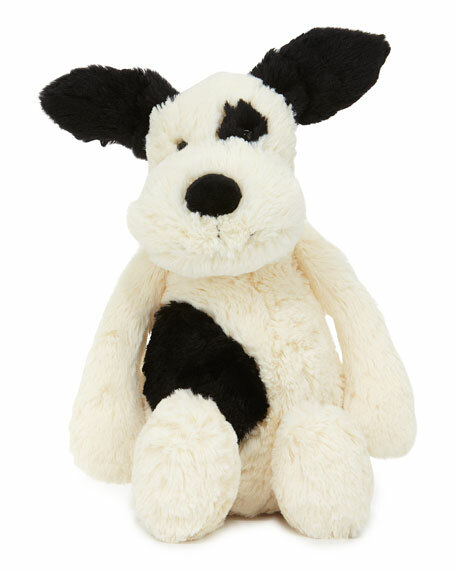 Jellycat "Bashful Puppy" plush toy features silky coat with smudgy patches over eye and back. Extra-soft, cuddle-ready dog features floppy ears and tail. For in-store inquiries, use sku #650835.